지난 10 년간 화석 연료의 탐사 활동이 활발히 진행되어 왔습니다. 한편 정부와 기업은 증가하는 전세계 에너지 수요에 대응하기 위해, 풍력, 태양 광, 바이오 연료 등 대체 에너지 원의 연구에 주목하고 있습니다. 원자력에 대해서도 그 잠재력과 더불어 해결해야 할 과제가 함께 검토되고 있습니다. MSC Software는 가혹한 서비스 환경에서 운용되는 복잡한 기계 시스템을 정확하게 시뮬레이션 해야 하는 에너지 산업 분야의 모델링 및 해석 솔루션을 제공하고 있습니다. MSC 툴들은 석유와 가스, 풍력, 태양열 및 원자력 분야에서 설계 제품이 최적의 상태로 작동하도록, 또한 상당한 비용을 발생시키는 고장을 방지할 수 있도록 도움을 주고 있습니다. Adams 소프트웨어를 통해 우리는 강체, 탄성체, 봄, 댐퍼, 조인트 및 기타 모든 기계 부품을 포함한 실제 모든 복잡성을 캡처하여 연관된 물리적인 힘과 움직임을 파악할 수 있게 되었습니다. 이 소프트웨어는 복잡한 모델을 매우 빠르게 조립하면서도 엔지니어가 시뮬레이션 하고자 하는 것은 무엇이든 수행할 수 있습니다. " Safety is the topmost concern in design of a nuclear plant and this is the basis of several guidelines formulated by various regulatory agencies around the world. While following strict performance criteria demanded by the regulatory agencies, designers strive to enhance their designs without incurring prohibitive development costs. MSC Software’s tools and products offer an ideal solution for designers and manufacturers by providing the dual advantages of meeting nuclear meeting regulatory guidelines and innovation, achieved at a lower cost. 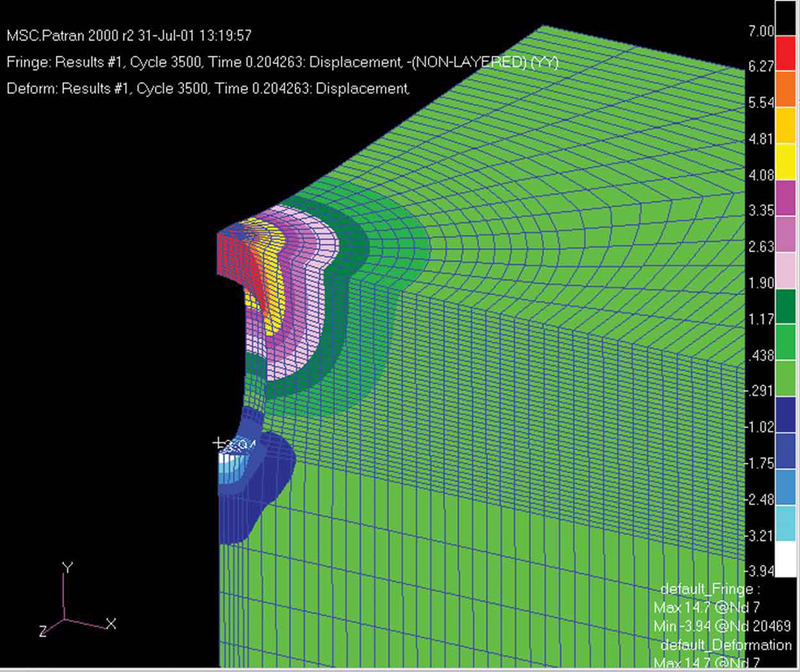 With capabilities to model accurately highly nonlinear materials that exhibit time and temperature dependent behavior and complex loading conditions, designers can simulate complex testing scenarios in the safety of their offices. 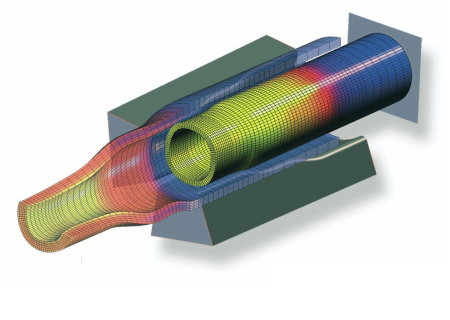 Use of accurate, high performance simulations solutions from MSC also help reduce physical tests, while at the same time enabling you to run a more comprehensive regimen of virtual tests. Drilling and production equipment and transportation infrastructure is continuously subjected to severe loading conditions and any disruption to operations can lead to expensive shutdowns. Hence extensive testing early in the design cycle is critical. However, it is not only expensive for exhaustive physical testing, but could also be hazardous to test engineers because of the need to recreate the harsh field conditions. MSC Software provides simulation solutions that can provide the benefits of accuracy, completeness and safety. With capabilities to simulate control systems, multi-body mechanical systems, and structural assemblies, MSC’s solutions not only provide a comprehensive set of tools, but also an integrated multidisciplinary solution for improved accuracy. For over 30 years, manufacturers in the wind energy industry have relied on MSC Software’s solutions to overcome the numerous challenges related to the creation of ever more powerful systems. MSC’s products are employed to help design more reliable and better performing systems and they generate instrumental engineering data for the type certification process. 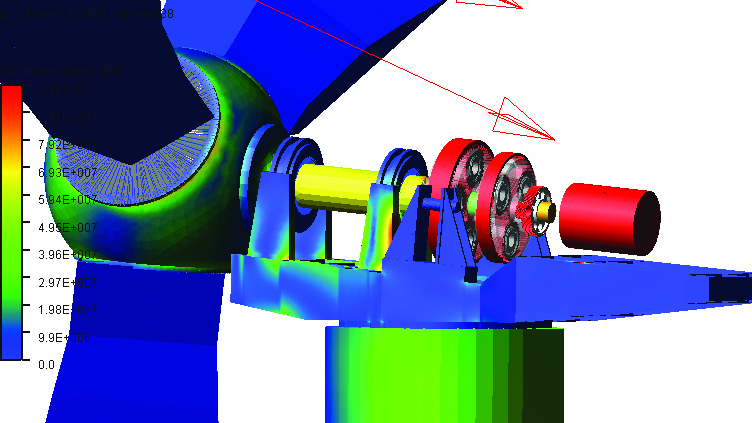 Through extensive virtual testing of new designs, wind turbine, blade, and gearbox manufacturers are saving time and money, and designing more reliable systems by working with MSC Software.